State Emergency Operations Center/Joint Dispatch Facility: Completed in 1994 at an estimated $13 million, the State EOC/JDF houses the Ohio Emergency Management Agency, District 6 Headquarters and the Dispatch Center of the Ohio State Highway Patrol, and communications elements of the Ohio Departments of Natural Resources and Transportation. The facility’s purpose is to enhance the state’s capabilities to respond to disasters and emergencies, and to improve coordination among state agency partners. The building is more than 90,000 square feet and measures 252 feet long by 168 feet wide. The two-story structure is actually two buildings in one, with a steel frame structure built over a concrete structure for maximum disaster protection. The EOC/JDF is a secure facility with access card readers placed throughout the building for the protection of critical and sensitive areas. In 2008-2009, the Ohio Emergency Management Agency received a special grant of federal funds identified by (the late) Sen. George Voinovich for renovations to the State EOC. 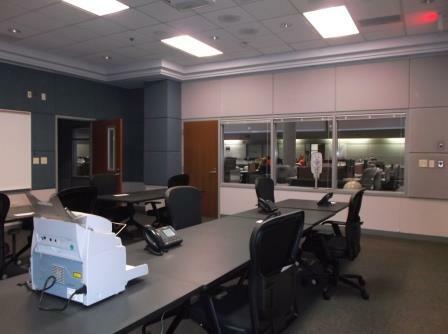 In 2010, the agency completed necessary technology upgrades to the operations and assessment rooms. 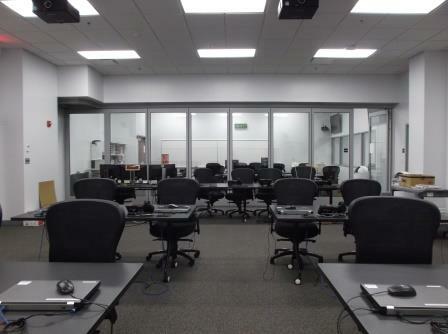 The Operations Center and its adjacent rooms were renovated and reconfigured in 2013. Press/Training Room: During day-to-day operations, the press room (Room 204) is used as a multipurpose training room. 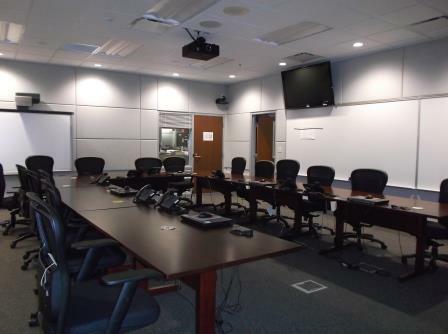 In the event of an actual emergency or training exercise, the room can be converted to a workroom and briefing (conference) area for the media. Radio Maintenance Bay: The radio maintenance bay allows Ohio EMA, Highway Patrol and ODNR communications maintenance workers to bring vehicles into a closed environment for radio maintenance and testing. The bay also serves as the storage facility for Ohio EMA communications vehicle and ODNR mobile command center. Executive Room: The governor, Ohio EMA executive director and lead agency staff work in the executive room during an emergency. Operations room personnel and communication technology support the decision-makers in this room with the information needed to direct emergency response operation. Operations Room: The emergency operations center, or operations room, is where agencies congregate to conduct a coordinated response to a disaster situation. During a typical emergency, approximately 20 agencies are actively involved in emergency operations. The operations room accommodates 52 workstations, appropriately identified by Emergency Support Functions, and includes the command and control stations. Watch Office: The Ohio EMA Watch Office aims to help facilitate a quicker, more informed decision-making process for the preparation for, and response to hazards and incidents impacting the state. The Watch Office is staffed 24 hours a day. 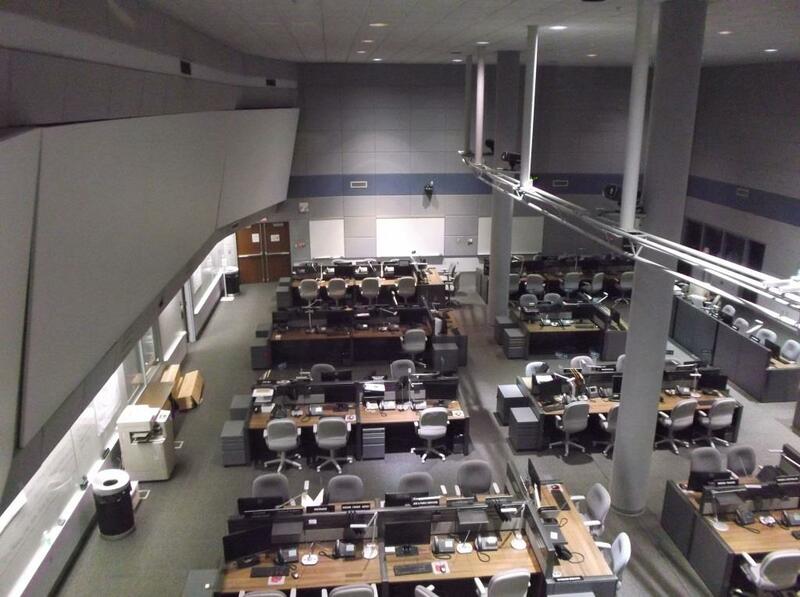 Joint Information Center: The JIC is the physical (or virtual) operation where public information staff representing all agencies and organizations involved in incident management activities coordinate and disseminate official, accurate and consistent information in a timely manner to the public and media. WebEOC: WebEOC is the information management software utilized by Ohio EMA and made available to all county EMAs as a means to track and analyze disaster information to assist with decision making and maintaining a common operating picture before, during and after incidents. The branch maintains and administers WebEOC and hosts training for both state and local users to learn or refresh their skills on the basic functions and usage of WebEOC.